In the 1930s, Major Sir Robert McCarrison wrote about a tribe called the Hunzas who lived in the remote countryside near Northern Pakistan. He encountered this hardy community while he was working with the Indian Medical Service. According McCarrison’s written observations, the Hunzas seemed to enjoyed near-perfect health. Some lived to be over 135 years old and no one in their clan had any of the conditions so common in the modern world, such as diabetes, obesity, heart attack, and cancer. 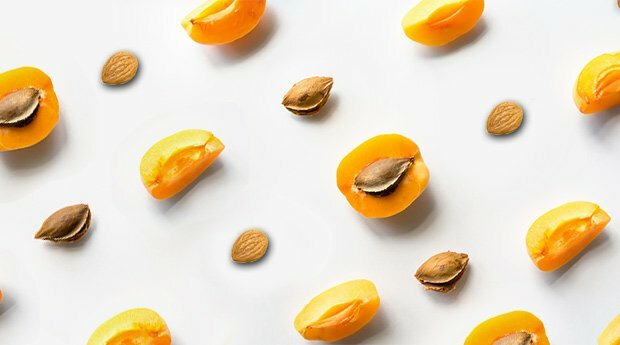 Please help bring more awareness about apricot kernels and cancer fighting laetrile by sharing this article with your friends and family. Apricot kernels have been consumed for their nutritional and healing properties for hundreds, if not thousands, of years. In the 1930s, Major Sir Robert McCarrison wrote about a tribe called the Hunzas who lived in the remote countryside near Northern Pakistan. The Hunzas seemed to enjoyed near-perfect health and had none of the conditions common in the modern world, such as diabetes, obesity, heart attack, and cancer. 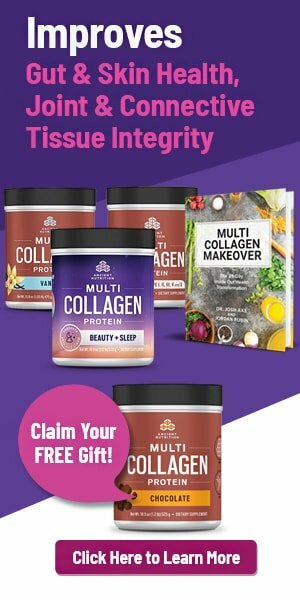 Amygdalin is a compound that is found in over 1,200 edible plants in nature and is found in the highest concentrations and with the most effective accompanying enzymes in apricot seed kernels. The Hunzas ate large quantities of apricot seed kernels. The substance Laetrile was created by Dr. Ernest Krebs as a concentrated form of amygdalin obtained by extracting it from apricot kernels. Amygdalin is a nitriloside, and its structure most resembles that of a B complex vitamin, so Dr. Krebs named it B17. When the beta-glucosidase in a cancer cell unlocks an amygdalin molecule, a toxic synergy is created that specifically targets cancer cells. 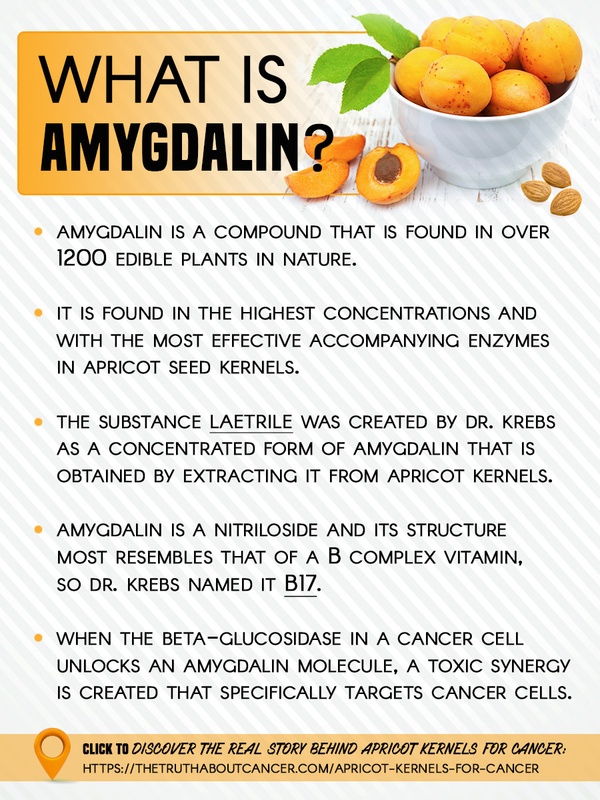 Apricot kernels are the easiest way to ingest amygdalin since Laetrile is still banned by the FDA in the U.S. It’s important to work with a qualified healthcare practitioner regarding dosage and potential side effects. Special report on Laetrile: the NCI Laetrile Review. Results of the National Cancer Institute's retrospective Laetrile analysis. Antimutagenic, Antirecombinogenic, and Antitumor Effect of Amygdalin in a Yeast Cell-Based Test and Mammalian Cell Lines. Is ther a difference between sprouted and unsprouted apricot kernels.. and are the sprouted ones less or more potent than the unsprouted ones. I have used both.. however the sprouted ones seem to be much more brittle and contain less water. We would suggest speaking with a trusted medical professional about the dosage you should take. They will also should be able to let you know how the other things you mentioned will affect you. Is it safe to eat Apricot Kernals as a preventive measure ie. 10 a day as all my family have died of Cancer? I am 75 years old. My wife and I have been consuming 5 Apricot Kernels daily for the past 20 years, we did stop for approximately 1yr, 10yrs ago and my wife found a horrendous mole on her back, we started consuming the Kernels again and the mole fell off her back several weeks later… needles to say we have never stopped consuming them since and never will. Amazing Simon! Thanks for sharing your personal experience with us. Hi! This is wonderfull! Where can I get good quality apricots Kernels, I live in Canada…. Do not know where to find it. Can order from the States also. Hello Simon, could you please share your source for kernels. They are not available where I live sp I have no experience with them. Hi did you use bitter pe sweet apricot seeds? Janice you can get them on eBay or Amazon. Make sure to get the bitter ones. I just ordered some for my uncle who was just diagnosed with stage four lung and elsewhere. Taking a pancreatic enzyme and lots of vitamin C helps them absorb and work better. Also organic bone broth, turmeric, milk thistle, certain mushrooms, dandelion tea, green juice (lots of recipes out there). Stay away from sugar and anything that turns to sugar. Sugar feeds cancer. Cancer loves it. Only green apples and lemon for fruit and can go in the juice. Get a juicer. Alkaline water too as people with cancer are very acidic. There are natural cancer treatment places that can to heavier duty things that work. Arizona has quite a few good ones but the FDA keeps them from doing some things that work that other countries use. Tijuana is better. Germany is best. God bless you and your son. How do you process the seeds, if soaking how linking? You don’t have to soak them. I eat them just plain and raw. Make sure they’re bitter (only bitter ones contain amygdalin). I’ve been eating between 15 and 20 of them a day for years now. At the beginning, eating them made me sneeze (like strong mustard), but now it doesn’t any more and I find them delicious. I also make delicious amaretti with them. I am from Pakistan, they are about $10/kg here. Please let me know if I could be any help. Look up hydrogen peroxide therapy. But food grade hydrogen peroxide at pharmacy. 35% ar least. Start with 2 glasses of water a day with three drops of the peroxide each glass then the second day four drops then the third day five and so on till you get to 24 drops in each glass . Then you stay there till you are told the cancer is gone. Then you started going back wards. 24, then 23 then 22 till day by day you get back to 1. Also CBD oil. Cure your own cancer. net. More expensive. Thanks for your comments on Hydrogen peroxide therapy. Did you actually do the protocol, and if so, how did it work for you? 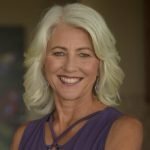 A friend referred me to the book: The One-Minute Cure: The Secret to Healing Virtually All Diseases, by Madison Cavanaugh. There are detailed instructions in it for the hydrogen peroxide therapy. I’d appreciate hearing from folks who have used it for curing cancer, to give me confidence to do it. I also would appreciate reassurance that it’s safe for the GI tract, etc. when following the directions. Here’s to our vibrant health! I so agree with this article when comparing it with my own experience. I am 59 years old now. I, as well as many others I know, eat apricot kernels and cherry kernels when in season and right through the year almonds and apple seeds and we are cancer free. 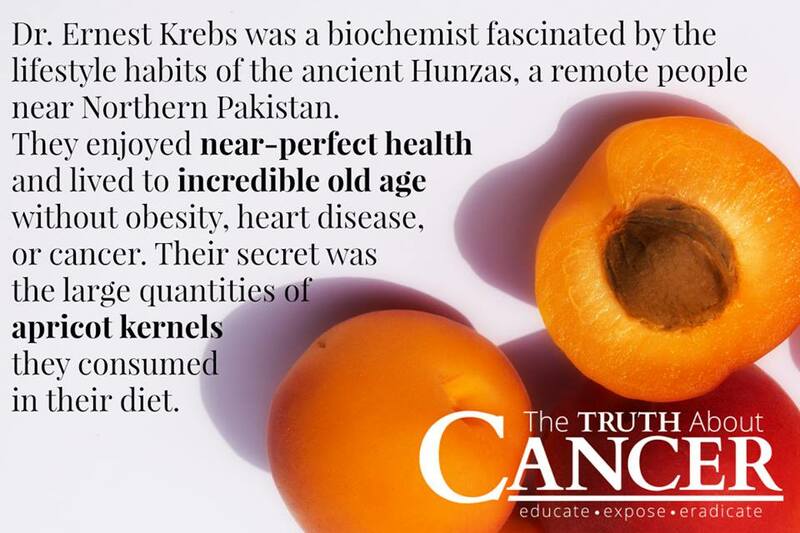 Some medical experts, however claim that apricot kernels (I suppose in large quantities) have caused cyanide poisoning and death in cancer patients. Should one, if you have been already diagnosed with cancer, stay away of large quantities of amygdalin? My hypothesis is that, if you have large quantities of cancer cells in your body and then suddenly consume lots of apricot kernels, the breaking down of the amygdalin compound on great scale might result in cyanide poisoning. I have just been diagnosed with lung cancer ( 1 week ago after having felt miserable for about 3 weeks. The mass was initially measured at approximately 2.4 cm by an x-ray. A subsequent CT scan measured it at 5cm last Monday. I have a bag of bitter apricot seeds that have been in my fridge for about 21/2 years. Should I start taking them ( are they too old?) and if so, at what amounts? I’m going for a Pet scan in less than a week ( mass in upper left love) to determine a more thorough diagnosis, type of cancer cell, extent of spread, etc. YES!! Please!!! It is crucial for many of us to have prompt responses!! I so agree with this article. Apricot seeds are not deadly but instead very healthy. I remember years ago I was not well and I was led to purchase a bag of the kernels and though I didn’t care for the taste, I was much, much better in a few short days. I just ordered some more. Thank you for writing this article. God bless you! Take 3 four times a day then increase to 5 four times a day. I worked with a health coach who said the safe dose was about one kernel for every 10 lbs. of body weight, in a daily dose spread out over your three regular meals. You start with with one kernel daily and work up to the max level gradually. I have seen 7-10 per day. Others say 1 for every 10 lbs per day. If you have cancer, double or triple it. I read to keep it below 60 per day, but I think using the weight estimate is the best way to decide how many since it is based on your weight and not one-size-fits-all. The bitter flavor reminded me of Sweet-n-Low powder, bitter but an underlying sweetness, and took a bit to get used to at first. Then the nutty flavor comes through and tastes like almond. They taste good in a weird way. Also, it numbs my mouth. Don’t be afraid to try them. If you’re fighting cancer, you have nothing to lose. I am eating 3 Apricot kernels every morning. I was eating 8 then 4 and now 3 because I read an article that suggested .37 ml a day which is 3 small kernels. I believe what I have read about the cancer cells being affected and even if not then I have a great added health benefit from the kernel anyhow. My nutritionest has me on 3 apricot seeds per day, natural oraganic biotics, colonics, photonic botonical water and Essiac tea.. And in 8 weeks my tumor begin shrinking dramatically. Thank you for sharing this great news with us, Sabino! All the best on your healing journey. We do not have a specific brand that we recommend at this time. I bought my 1kg bag of Apricot kernels on Amazon.ca. There are different brands and prices. I paid $26 dollars plus shipping and handling for my 1kg bag and received it in 1 week on regular mail. Hi Kerri, Hunza Gold is my personal choice. They are organic, Vegan and glutten free. Be sure to get the bitter ones. You can research them and purchase them from their website: http://www.hunzagold.com. I am 63 years old and have emphysema. Although I take the kernels for cancer prevention my emphysema has improved drastically and my doctors are amazed. The only thing I can contrubute the improvement to is the apricot kernels. Good luck to you? I don’t know where you live, but in Canada all the organic health store have it. They keep it in the fridge!
. Dose it come with oain? Hi there – I’m not sure I understand your question. Did you mean to ask if it comes with pain? Could you please clarify what you mean by this? I have just Been diagnosed with Invasive breast carcinoma, they want me to start Chemotherapy As soon as possible. Do you think eating the Apricot kernes now will help. We've created a page with the experts' contact info as it was available to us. I hope this is helpful! If you have any further questions/concerns, please let us know as we are happy to help. Sending you prayers of endless love and healing! I gave them to my dog for quite a few years (minced up first as they don’t chew them) and he lived to be 14. I thought my 13 year old dog was close to dying because she laid down most of the time. Then we started giving her vegetables and fruits including the seeds and she literally came back to life.she has so much energy, just like she was a young girl again! I bought an Italian cookie in 2015 (soft macaroon type) where wheat flour is 100% replaced by Apricot kernel flour they are deliciuos and do not posta warning on poisoning… I wish I had the weight and source now. That sounds delicious! Thanks for sharing this with us Chris. After some heavy research to help my sister with a cancer tumor, I had her start with 10 a day, and had her work up to 50 a day. On her first scan the doctors were surprised how much it shrunk. After every scan, same results. The doctors told her what ever your doing keep doing it. Beside, the kernels she was also talking the supplement 90 for Life. Her final scan was given the all clear! I had similar experience with taking 2,000MG of Laetrile. Has reduced my lymph nodes by 40-50%. Oncologist said “keep doing whatever it is”. Hi I have the same question as Kerrie Summers. I could not understand the benefit of kernel in your case, did it helped you or no benefit? Kindly clarify. Eating Apricot Kernels is not harmful bur people do not eat kernels or apple seeds. I don’t have cancer and eat about seven a day. Why do we thank doctors for everything they have done when our loved one dies from cancer – they look like they have been in a concentration camp not a hospital!!! So skinny with no appetite, no hair and no spirit left – Yea, thanks for that. Down here in Tasmania there are no doctors that you can go to for advice about anything natural (they know nothing) so you are on your own if you decide not to take the treatment they offer. My father was treated by Dr Case, when I was seven years old, he had lung cancer, Dr Case did not charge my family for administering this drug to my father as it was somewhat new. The Laetrile did help my father while he was on it, however my father chose to not take it anymore, his quality of life had diminished. I truly believe had he started on Laetrile early in his diagnosis, he could have beat it. Wow – that is heartbreaking. 🙁 Sorry to hear your father went through this. Sending you prayers of love and blessings. Can someone please help as to whether apricot kernels are safe to eat during pregnancy? I had a grade 3 lump in breast & lympovascular invasion- they want to induce me & give me radiotherapy (oncotype DX showed 4% reoccurance risk so I managed to be left alone when it came to chemo!) I am refusing radiotherapy & hormone treatment as I want to breast feed & heal myself naturally..
Just not sure if apricot kernels are ok when pregnant?? It would be best if you reached out to a holistic health professional about this so they can guide you in the best way. Wishing you endless blessings, love, and good health! Please let us know if we can help with anything else. My husband was diagnosed with TC (Testicular cancer) and GP gave him 1-12 months to live. We heard about apricot seeds, and he started with 10-20 a day, and now up to 40-50 a day. We also found apricot seeds extract (pills) b17usa.org and b17usa.com and started taking that. Also DCA supplement, and many others anti cancer. His TC is shrinking and without chemo, any radiation etc. For more info on what I gave him you can find me on facebook floare farcas-petrescu and will be deligheted to share with you. Have a blessed life. Hi! I tried to find you on Facebook but was not able to find you. Could you please share with me what else you gave your husband? My husband has stage 4 metastatic kidney cancer. He takes many supplements and just started apricot seeds. Would like to know if there are other supplements that would help. Thanks so much!